Do your supervisors actions match their words? Would your employees agree? Do your supervisors make promises that they don't keep? 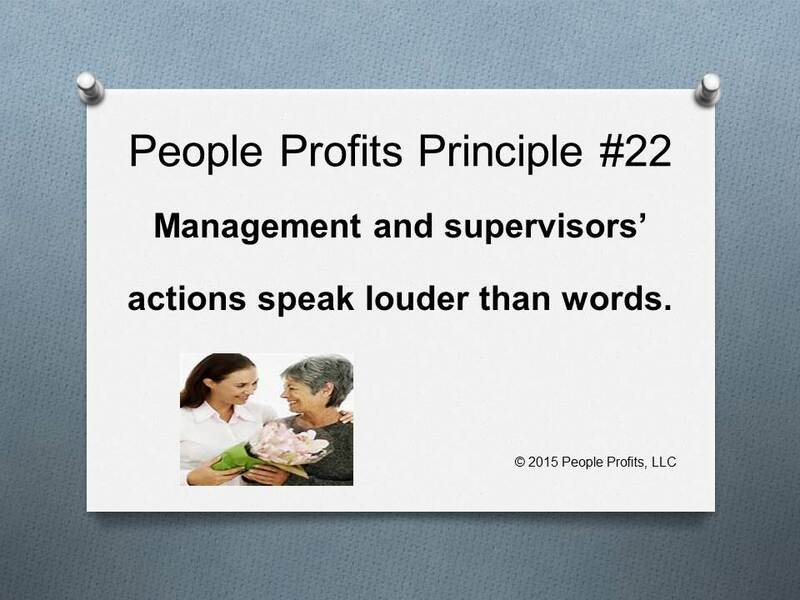 Consequently, do your employees actions not meet their words? Make promises they don't keep? How does this effect the CUSTOMER EXPERIENCE? This has become a cliche - unfortunately the problem exists in every organization. Your employees will judge you by your actions. They will also judge you by the actions of the people who work for you. Your actions will dictate who will want to work with you and who will look elsewhere.